A promotional tie-in with a custom-molded umbrella handle is a sure way to grab attention and create a powerful promotional product. Call to enquire about developing handles of any size, shape, and color. P.O.P. 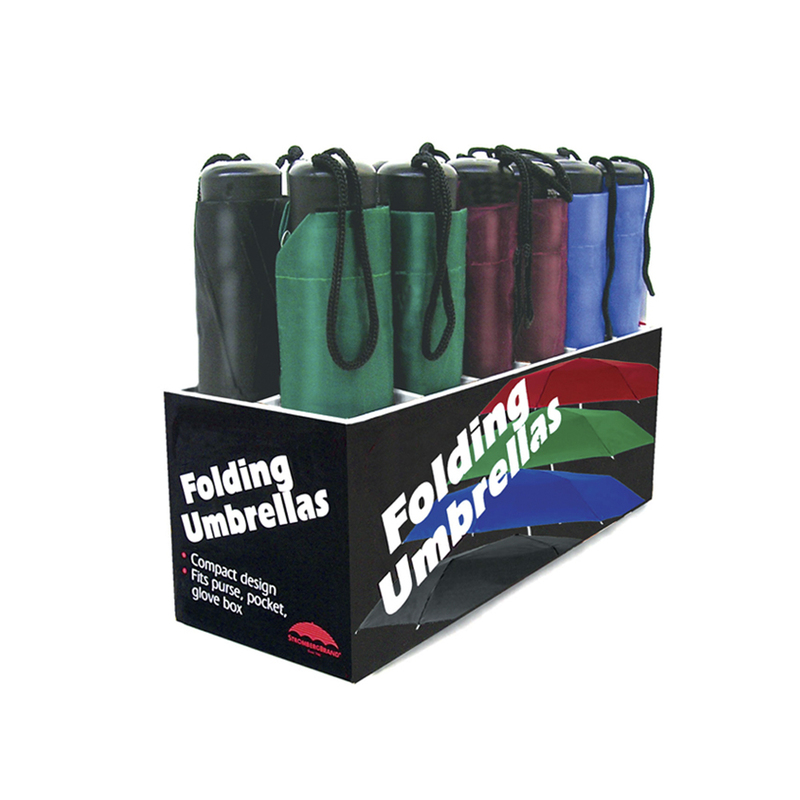 displays can be packed with any StrombergBrand folding umbrella. Our standard case, available to order today, includes 12 Compact Folding Umbrellas (item# SB-1100) and the stock display graphic (box design) shown. Call to enquire about customization options. Canopies with two layers of fabric provide endless possibilities for custom umbrella printing. 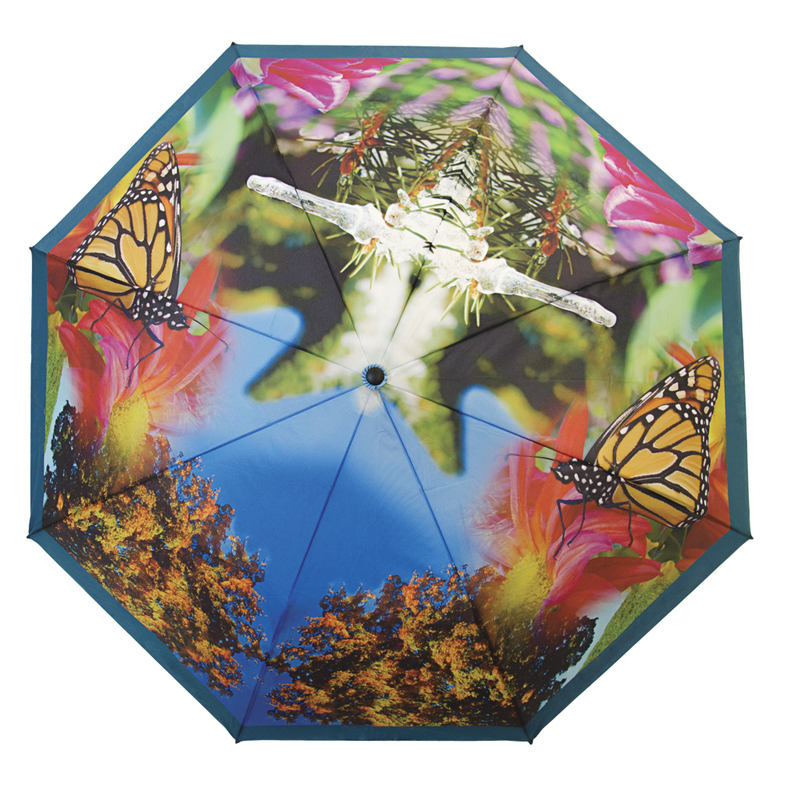 Two canopies allow for full-color digital imprints on the top and/or bottom of the umbrella. They create an opportunity to have digital and single-panel imprints on the same piece. For high-fashion design with assured brand recognition, we offer custom Step & Repeat Pattern imprinting. We can make attractive sequences from one or more logos and repeat it in any way to give your umbrella lasting promotional value. 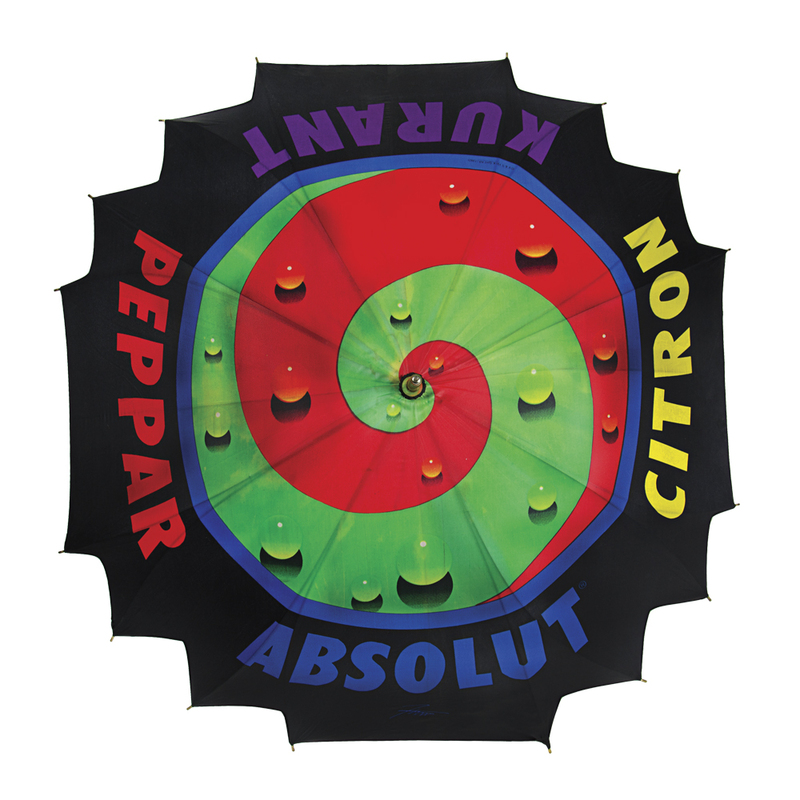 Full-color digital imprints allow you to imprint almost any image across the entire canopy of our umbrellas. Make a memorable promotional product, tell a story, and create a piece of art with our award winning work producing full-color digitally imprinted umbrellas. 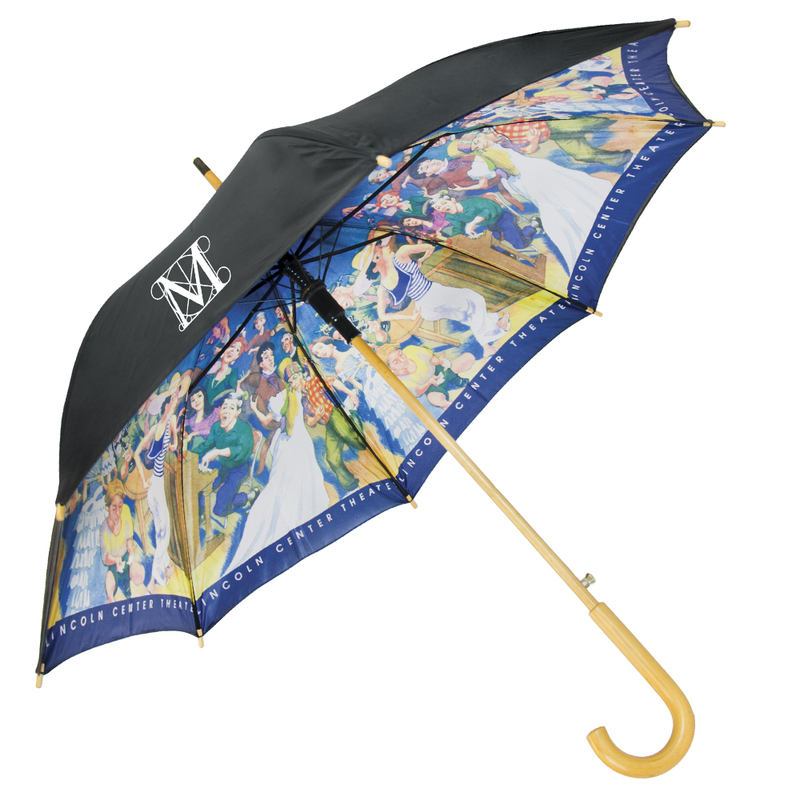 Almost anything is possible when it comes to custom umbrella designs. We aren’t afraid to take on the most complex projects, including ones involving unconventional shapes, intricate imprints, and special materials. Call for any umbrella related project you would like to explore. 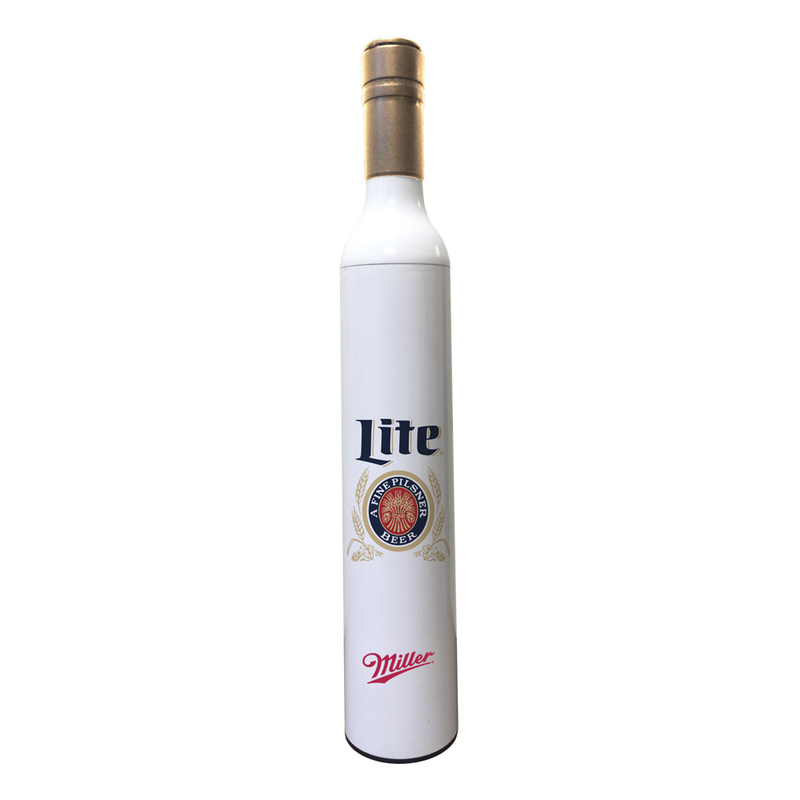 The Bottle Umbrella is an innovative approach to promotional product umbrella design. 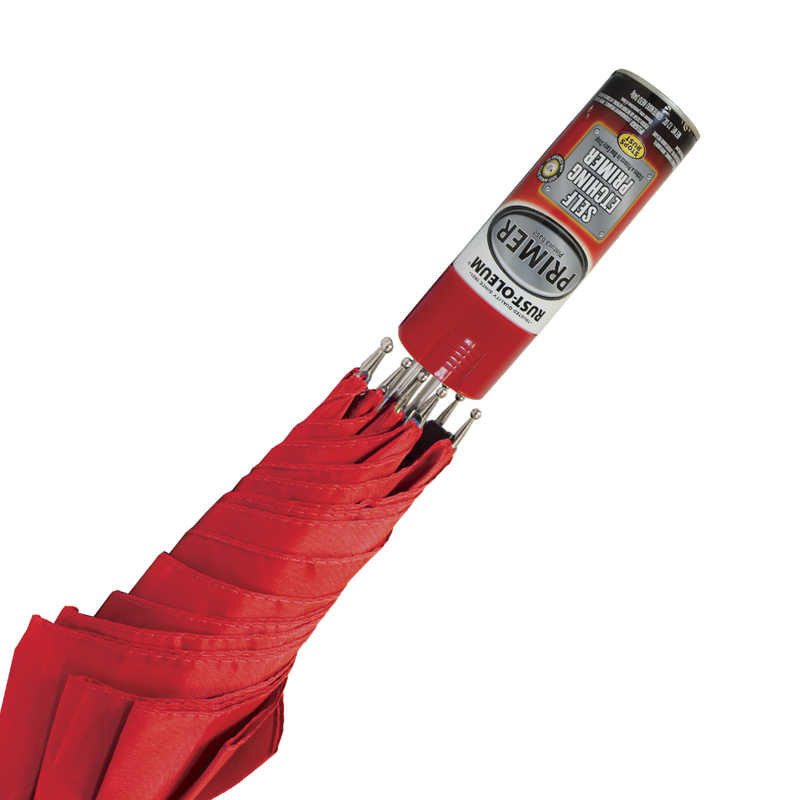 What appears to be a plastic bottle is actually a folding umbrella: The neck is the handle; the printed plastic body of the bottle is the umbrella case. Call for quotes and to consider design ideas. 1,200 piece minimum to order. 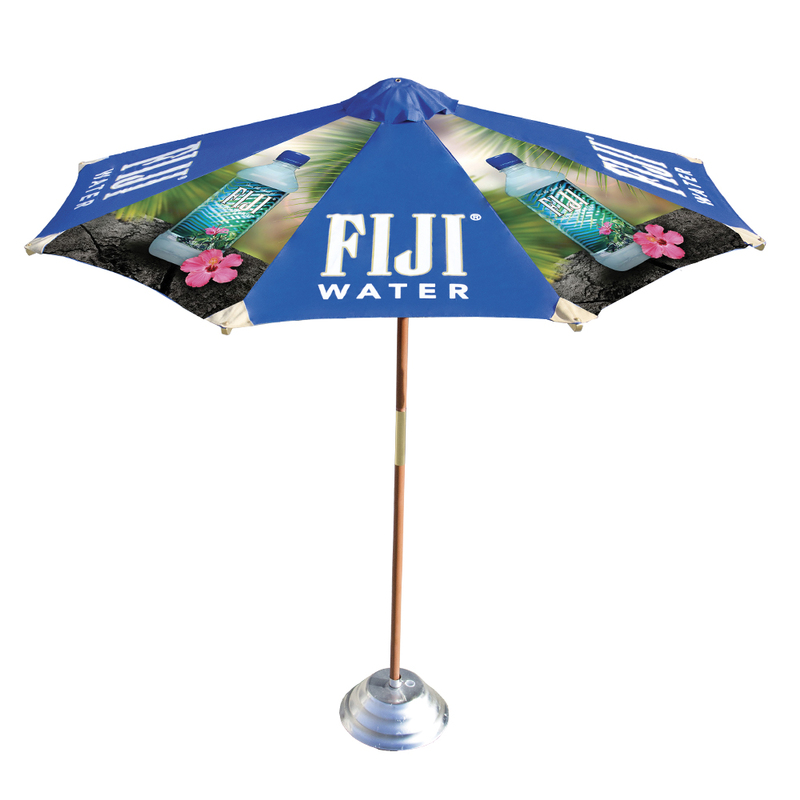 The promotional potential of a well-designed patio or beach umbrella can be enormous. 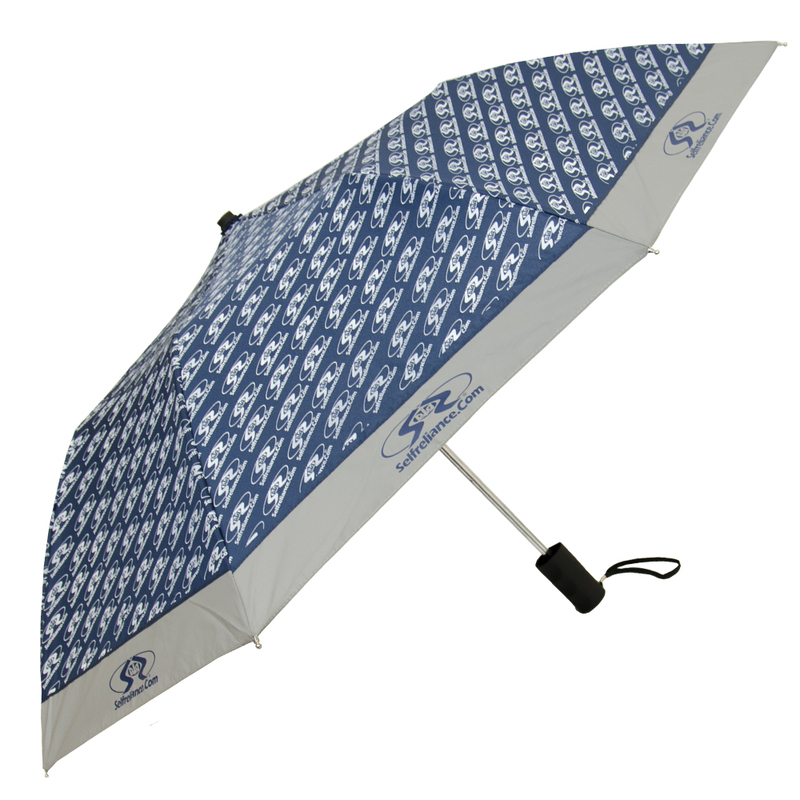 Let us help you with complex prints, custom sizes and colors for any of your stationary umbrella needs.